Getting two pieces of metal to stick together is a common trade. What sets us apart from the competition is the way in which we do it. Welding is an art. We don’t have welders, we have artists. Our stable of extreme welders/artists includes some of the best in the country. 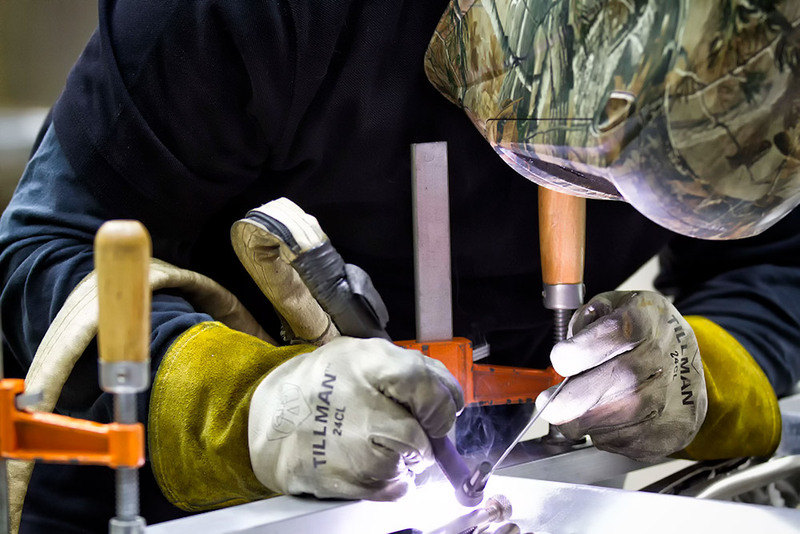 With a combined 200+ years of welding experience among 7 welders, Randolph and Baldwin’s welding team is certified in numerous weld certifications. Maintaining an AWS Certified Weld Inspector allows for specific procedures to be written for any customer required process adding to our extensive list of certifications. With immense size capabilities augmented with two extremely high ground level bay doors, a twin hook capacity hoist, equipped with BLUCO modular weld stations as well as multi-axis rotating weld tables, we are equipped to work on all job sizes and quantities throughout a range of complexities. As with all processes at Randolph and Baldwin, inspection is a critical component. Throughout the build of any assembly or component necessary high tolerance dimensional requirements are measured and verified by our experienced inspectors. Weld inspections are performed by AWS Certified CWIs. Dye penetrant testing among other weld test requirements are handled with extreme detail and care. For more information on Randolph and Baldwin’s Welding services, please contact us. Welder Andrew Desjardin is a SkillsUSA national champion.